Believing that art unites us all, REVEAL International Contemporary Art Fair embraces diversity, discovery and curatorial integrity, providing a platform for a select group of 40 galleries that showcase the foremost emerging, mid-career and established artists. 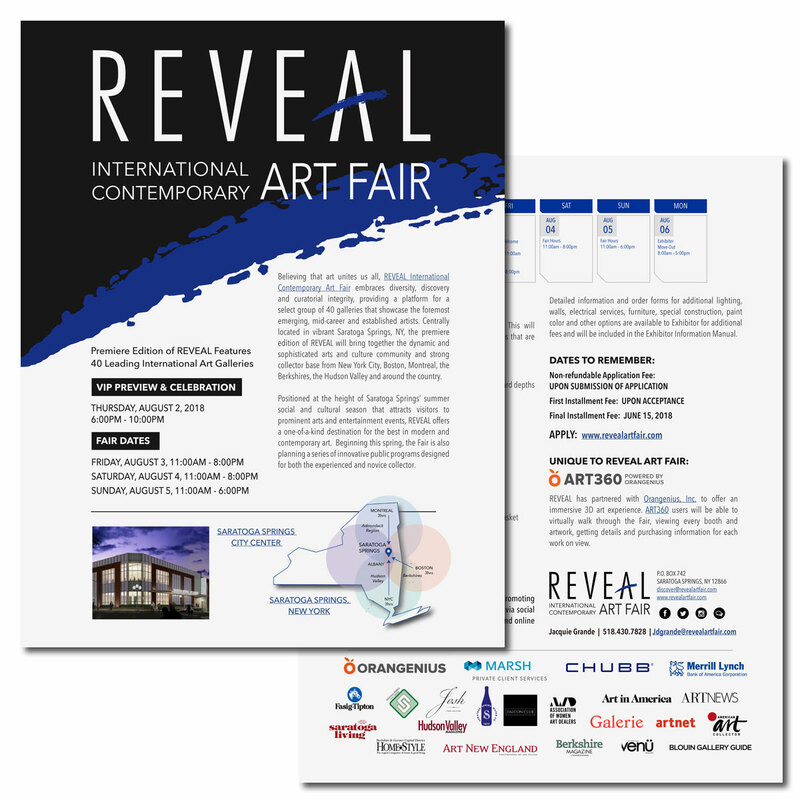 Centrally located in vibrant Saratoga Springs, New York, the premiere edition of REVEAL will bring together the dynamic and sophisticated arts and culture community and strong collector base from New York City, Boston, Montreal, the Berkshires, the Hudson Valley and around the country. Positioned at the height of Saratoga Springs’ summer social and cultural season that attracts visitors to prominent arts and entertainment events, REVEAL offers a one-of-a-kind destination for the best in modern and contemporary art. Beginning this spring, the Fair is also planning a series of innovative public programs designed for both the experienced and novice collector. If you are interested in exhibiting at REVEAL, please see our exhibitor application form. For further details, download our Exhibitor Details (PDF).